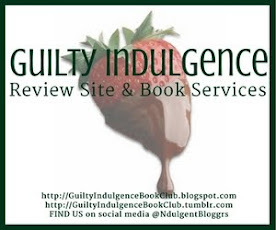 Guilty Indulgence: YAY FOR NEW TO ME AUTHORS!!! YAY FOR NEW TO ME AUTHORS!!! For the last week I have been reading books by authors that I had not read before. They were names and books that I keep seeing in different places I just hadn't pulled the trigger yet. And while the writing styles were very different they both captivated and entertained me. 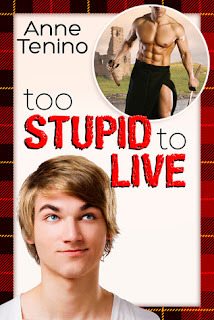 Zev Hassick is surprised and confused when he finds himself attracted to his best friend. His very human, very male best friend. Zev is the son of the pack Alpha, regarded as the strongest wolf in generations, born to lead. And everyone knows a male shifter has to mate with a female of his own kind to keep his humanity. So shifters can't be gay, right? Jonah Marvel wants a relationship with Zev, his best friend, the man he has loved since childhood. It wasn't easy to maintain that relationship over years spent living apart while Jonah studied to become a doctor. And then things grow more difficult when Jonah becomes his own patient. Before he can make a life with Zev, he has to understand his past and cure the unexplained ailments that plague him. Zev and Jonah know they're destined for each other, but they're facing traditions ingrained over generations and long-buried secrets that may threaten any future together. So this book was one that was a freebie celebrating the six year anniversary of Dreamspinner Press. Which is seriously one of my favorite publishing houses, because they have some of the best authors and editors. I started this book last night and was awake way past my bedtime because I just could not put it down. The meeting between Jonah and Zev as toddler and pup had to be one of the sweetest beginnings I have ever read. Their courtship, which neither realized was happening, was endearing and drew me into the the story so quickly I couldn't believe how quickly I cared about these two people. I always know it's a good book when I find myself talking to the characters. I was so frustrated with what the separation was doing to both Zev and Jonah that I was yelling, "Just tell him already" a couple of different times. Rating: 5 chocolate dipped strawberries!! The other author that I read this past week was Anne Tenino. I read the first two books in the TAG Series, Frat Boy and Toppy and Love, Hypothetically and pre-purchased the third Sweet Young Thang. But I am going to review the Whitetail Rock/Romancelandia series. I love her snarky men! These books are from Riptide Publishing and they have very quickly moved onto the "My Favorite Publishers" list. It isn't true love until someone gets hurt. After reading the first two books in this series I knew I had read more. I just had to read about Sam finally finding his true love. I am pretty sure that I am Sam...except for the tall, skinny, gay man thing I am EXACTLY like him. LOL Ok maybe the only thing we have in common is being die hard romantics. That and the whole inner dialog/soundtrack to our lives thing. 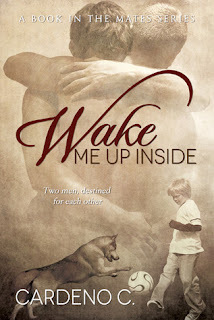 Sam has made some bad choices in the romance department in the past, and he knows that Ian is too good for him. The man is just too good looking to want to be with someone like him. Ian has been trying to play straight to please his father but he knows he is attracted to men....big, manly men not tall, skinny kids who are several years younger then him. So why can't he stop thinking about Sam? The chemistry between these two was there from the beginning and as much as both tried to deny it they were hooked from the start. Who doesn't love a man that will make your Highlander fantasies come true. Of course Ian had to have his stupid moments and Sam had to have his over-reacting moments but those are what made the story seem real and gave it personality. The secondary characters in this book help flesh out the story and give it more depth. I hated reading the bashing scene but now I can't wait to read Miller's story because that man needs someone to love him. It was great to see Nik and Jurgen again and I can't wait to see what Anne has in store for Dalton and Tierney. Hopefully with this many men needing stories this series will be around for a while! Rating: 5 chocolate dipped strawberries.